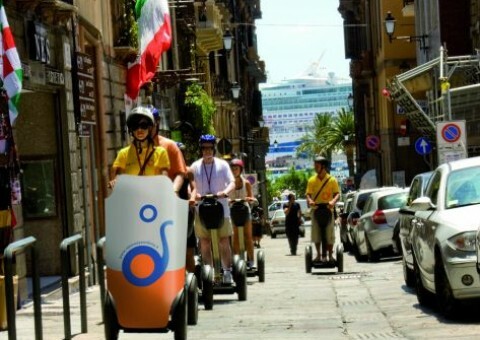 Enjoy the 1.5h Cagliari Segway Tour! 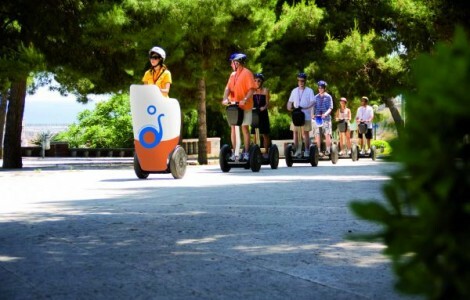 The Tour is made unforgettable and funny by the Segway, that will allow you to run along and to watch closely the most hidden and fascinating alleys of the old city. 1. Before the tour starts you must provide us an identification whit the confirmation voucher. 2. The use of the Segway is not recommended for pregnant women. 3. The Segway is appropriate for virtually anyone from 12 up to 70 years of age. 4. Riders must be able to go up and down from the Segway and to keep the balance without any assistance. 6. It is recommended to wear comfortable shoes, Not wear high heels, please.